The journey that I am about to embark on is leaving me feeling excited, nervous and curious. On January 30th, I am leaving for New Delhi, India. I’ll be focusing on Health and Human Rights with the SIT Experiential Learning Program. My classes include Capacity Building, NGOs and Healthcare Delivery, Politics and Economies of Public Health, Intensive Beginners Hindi, Field Methods and Ethics in Social Science and Health and an Independent Study Project. Our program includes us traveling a lot between the rural and urban areas of Northern India. For my Independent Study Project (ISP), I am interested in researching how religion plays a role in an individual’s access to health care. I am going to a place that is filled with many stereotypes and I am interested in finding the truth. The next eighteen days are going to be me focusing on learning basic Hindi and mastering Devanagari script. Devanagari is the script used for the Hindi language, similar to the alphabet. 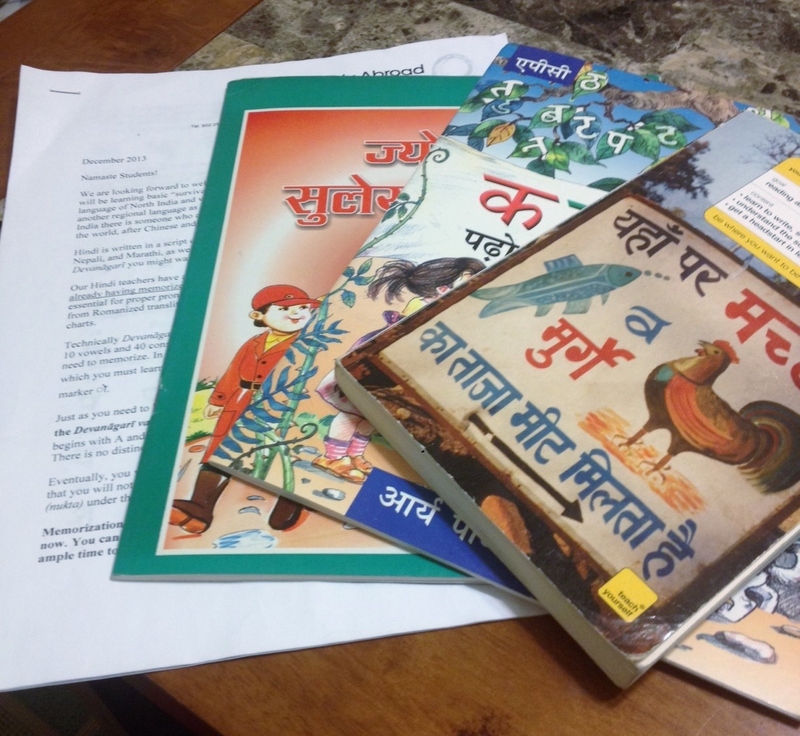 My study abroad program sent us some primary education books from India to help get us started on learning the language and the script. Learning this new language is what I am most nervous about. For the whole program, we have to use our new Hindi language skills to get in and around India. However, I am ready to take on this challenge. I can’t let language barriers get in the way. Another thing that I am working on before I leave is obtaining my student visa, finding clothes that are perfect for both the weather and the culture and saying my goodbyes to my family and friends. I am praying that everything goes as planned and I am on that plane in eighteen days. I’ll be blogging about my experiences to and from India. I hope to see a sense of growth within myself over the next three months.